We just returned from Jamaica yesterday. The highlight was a two day tour with Carolyn Barrett of Barrett Adventures. It was wonderful - the trip included Winnifred beach - a lovely little beach, Somerset falls - more beautiful than Dunns we were the only people there, a stop at The Folly, jerk chicken at Boston Beach and a hike up Blue Mountains, a stop to taste some wonderful Old Tavern estate Blue Mountain coffee. The hike up Blue Mountains starts at 2.30 am at night and you reach the top at around sun rise- and it is said on a clear day you can see all the way to Cuba. Though we did the climb on a cloudy windy day - it was wonderful - the night sky there is magnificent - have never seen so many stars. The stay at the Whitefield Hostel was great -a ride up in a Land Rover takes you to a old house- the place has bunk style accomodation the main hall has a wonderful fire place - tons of old books. No hot water but the chracter of the place makes it a great experience. The food prepared by Ms Lynette and her son Tiger was fabulous. Carolyn has an incredible amount of knowledge of the island - her daughter also accompanied us and it felt more like we were being shown around by family and we were quite sad when it ended. Hi Indie, I think i just saw you on jamaicans.com? I'm SO glad to hear that you had a blast with Carolyn! We are leaving tomorrow and will also be doing the blue mountain hike with her. We've driven with Carolyn and also with her husband Errol, both are great driver/guides. Sounds wonderful...I love Portland and really want to get into the Blue Mtns next time much more than we did. liza - did post a trip report on jamaicans.com - hope to post pics there soon as soon as I find out how. Which forum did you post it in and under what username? I don't think I saw it? I found it - but in Discover Jamaica, not WW. Where are you from that you call sweetsop custard apple? I had my first custard apple just last month - in Taiwan. Never saw it in the US? I'm from India - unfortunately custard apple is never in season when I go back. 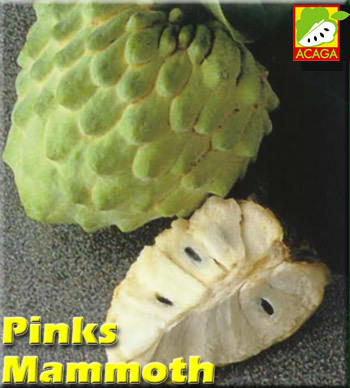 While I have been able to get Naseberry(we called it chickoo)and jackfruit, even breadfruit at the Indian store here - the closest to custard apple was Cherimoya(a close cousin and it cost an astronomical $4 for one - I still bought it but it was not the same. Was the Taiwan trip business or pleasure - if the latter so any trip report? I would be interested to read it. Aha! "custard apple" must be an eastern term then We came upon them in the southeastern part of Taiwan where they are a major crop. Apparently they don't travel very well and that's why we don't get them in the US...I LOVED them, they really do taste like custard don't they? I'll have to seek out some sweetsop next time I'm in JA, I've never had it there...maybe I'm missing the season. My trip to Taiwan was not business, it was personal but not exactly vacation either, it was to attend a human rights conference and see my parents get honored for stuff they did during KMT rule in the late 60's/early 70's - I was born there actually but hadn't been back since I was 5. If you'd like to see pictures and their captions (I didn't write a report exactly) e-mail me at [email protected] and I'll send the link and info. What's custard apple? Is it a bell shaped fruit that's slightly pink on the outside and a greenish white on the inside? Crunchy but not as dense in texture as an apple? Or am I thinking of something else? I've had a fruit like that it Taiwan but never knew what it was called. I just realized I must be thinking of a different fruit as what I had didn't have the texture of custard at all. Still curious as to the name though. The ones we had were green and bumpy on the outside. They came apart into smaller pieces that each had a seed in the middle (that needed to be spit out, making htis fruit a bit messy and slow to eat). The fruit was soft and indeed tasted just like vanilla custard. Thanks for the link. Now I know what you're talking about. I was initially thinking of something totally different, but I've tasted custard apple as well. So they have it in Jamaica too, only it's called sweetsop? I'll have to give it a try next time.